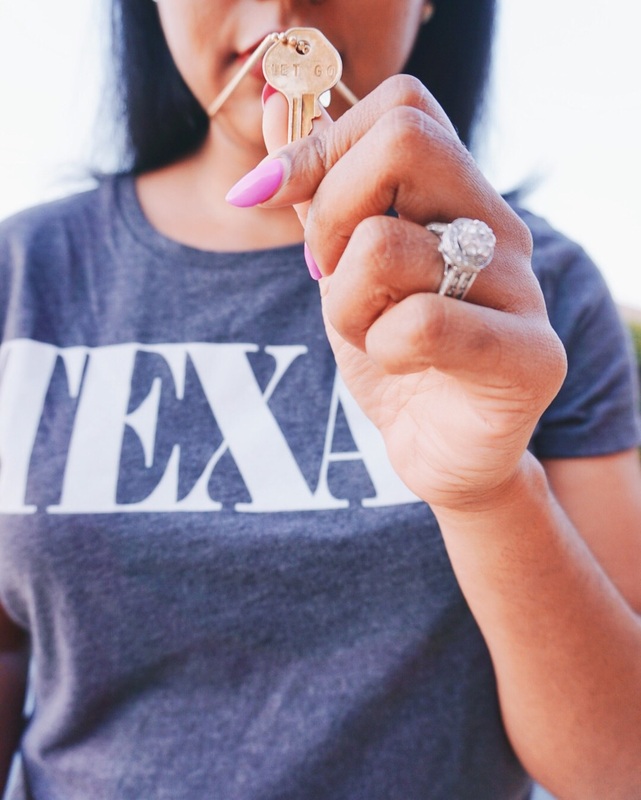 Let Go / The Giving Keys — THE FAUX FANCY. Wanna know a secret? I care a lot about what people think about me. Too much, actually. In fact, if I had to name my biggest weakness, that would top my list (followed by french fries and my on-again-off-again relationship with the gym). I'm guilty of not doing something I've wanted to do based solely off what I thought people might think. I've missed opportunities to do things alone in fear of looking like loner. And if we're being totally honest, I struggled with the idea of blogging for literal years because I didn't want to be just another person deeming themselves a blogger because all the cool kids are. I'm very hard on myself. I haven't always given myself the grace to evolve. I haven't become completely at ease with being authentically me without regard for how people will both perceive and receive me. I've held myself accountable for things that are entirely, 100%, out of my control. Things like... being who I am...unapologetically. Don't get me wrong, I've come along way from where I used to be (those who know, know). But I've always found a teeny tiny bit of comfort in actually knowing this about myself and not being completely ignorant to it. And I've shoved it off into the pile of "it'll fix itself one day. Perhaps when I'm 40 and more adult." But truth is, I can't afford to put this one off. Especially when it has become a hindrance to my ability to evolve as an individual. So recently, I made a promise to myself to let go. Let go of the premise that for whatever reason people's opinions matter. To let go of being anything other than shamelessly me. 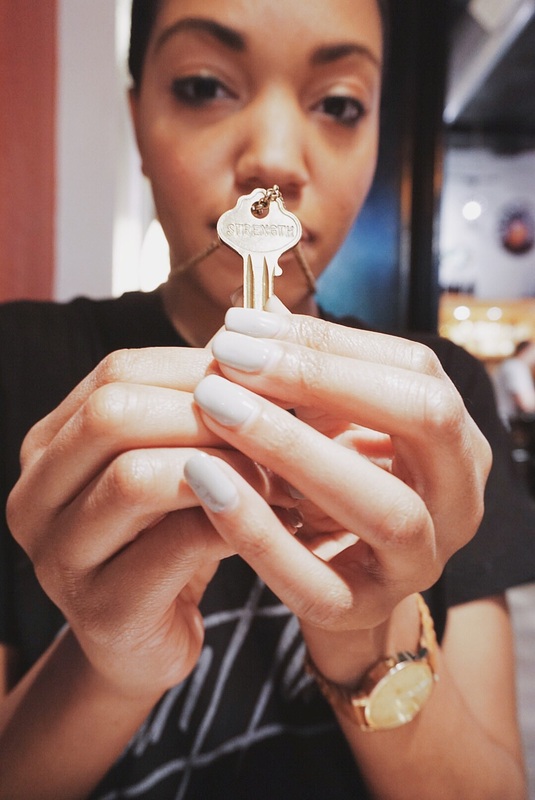 Obviously change doesn't happen over night, so in effort to remind myself of the notion of "letting go", I gifted myself a Giving Key (MAJOR key alert). 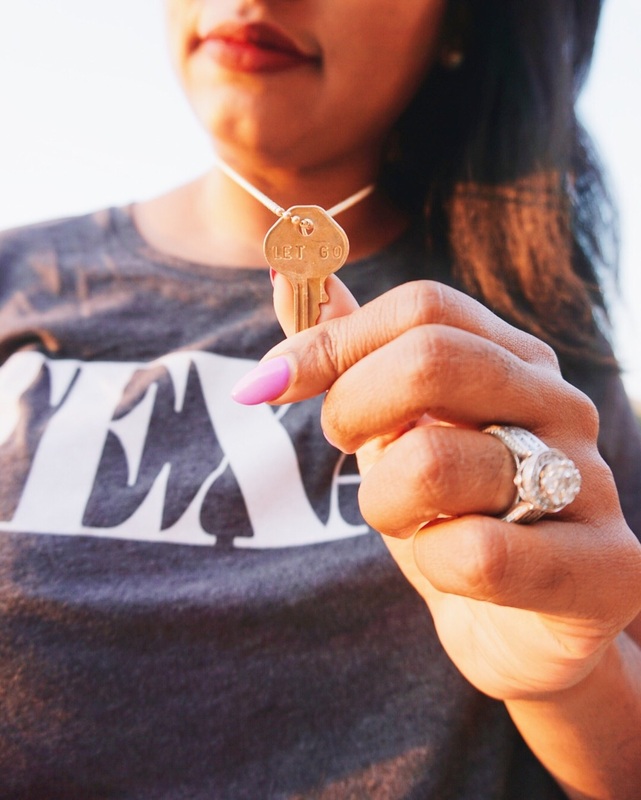 In case you aren't familiar, The Giving Keys are literally keys-turned-necklace with an engraved inspirational word on them. The idea is when you receive a key, you embrace your word, and when you feel like you've embodied that word, you pay it forward to someone who might need it more than you. Awesome concept, really. I gifted one to my best friend as well who needed an encouraging word. Hers says "strength." You can shop others below. They make great gifts.